While the U.S. is looking over its shoulder at China and India, it is Europe that is going to surpass the U.S. as the world�s leading growth engine within the next 20 years, according to Victor Canto, founder/chairman of La Jolla Economics, a leading consulting firm. Spurred by competition from Eastern Europe, Ireland and Spain, the rest of Europe is beginning to make major economic strides. Canto expects Europe to pick up more steam with the recent leadership shifts in Germany, France, and soon in Britain. He sees Europe at the same stage as the U.S. was nearly 30 years ago when President Reagan slashed marginal tax rates from 70% to 35%, unleashing an unprecedented economic boom. In Tucson, Arizona, the baseball fields surrounding Mission Manor Park had a unique history�it was the place where the only team from Arizona went on to win the Little League World Series, back in 1992. Since then, the park had fallen into an eye-sore in a community where many struggle to make ends meet. Leaders in the community decided it was time to take action. They were able to obtain a $5,000 grant on the basis that the community would step forward to barter their time and skills to upgrade the park. Volunteers offered their time and skills. Tile workers and plumbers refurbished the snack bar. Landscapers, electricians, welders and painters tackled other tasks. Still other baby-sat the children of these workers as they donated time. Children and adults together constructed the blue fence in center field that players call the batter�s eye. Many hands were necessary to raise the 20-foot metal foul posts and cement them into the ground. Then a cloth backdrop, that helps players concentrate on the game instead of being distracted by other park activities, was erected. Now, just four months after obtaining the grant and galvanizing the neighborhood, 46 teams and more than 600 boys and girls, ages 5 through 16, have witnessed a beautiful transformation. ITEX Corporation (OTCBB: ITEX), The Membership Trading Community, filed its Form 10-QSB with the Securities and Exchange Commission reporting results for its fiscal 2007 third quarter ending April 30. Net cash provided by operating activities and operating income showed strong gains this quarter even though there was a 5% decline in revenue from the same period last year. �We attribute the decline in revenue primarily to the continued consolidation of broker offices and member accounts since the acquisition of BXI,� explained Steven White, Chairman and CEO. �Our margins, costs and expenses are right where they should be; allowing us to invest in our technology and revenue growth initiatives while we continue profitable operations. �Revenue growth is our number one priority. We introduced our new Executive Privileges Program to our franchise network at the end of the third quarter that we anticipate (should assist in) increased member growth and retention which will translate into increased transaction volume, revenue and net income. � Operating income was $423,000 compared to $365,000 for the third quarter in fiscal year 2006, a 16% increase. � Operating income for nine months was $1,246,000 compared to $955,000, a 30% increase. � Net cash provided by operating activities for the nine month period was $1,944,000 compared to $1,790,000, a 9% increase. � Revenue was $3,265,000 compared to $3,419,000 for the third quarter in fiscal year 2006, a 5% decrease. � Revenue for nine months was $10,720,000 compared to $11,140,000, a 4% decrease. � Selling, general and administrative costs increased 2% to $156,000 compared to $153,000 for the third quarter in fiscal 2006. � Selling, general and administrative costs for the nine month period were $830,000 compared to $1,136,000, a 27% decrease. � More than $62,000,000 in transaction volume was completed by processing more than 129,000 transactions. 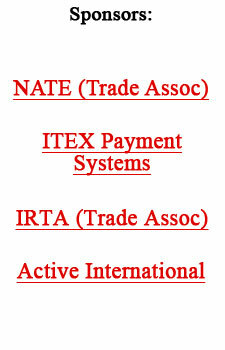 For more information on ITEX Form 10-QSB see: www.sec.gov. Provided to BarterNews by Alan Zimmelman, ITEX Executive VP. The annual ITEX convention, with the theme �Leading The Way,� was our 25th annual event. Every office that attended received a two-ounce pure silver commemorative coin, compliments of CEO Steven White. We held it at the Doubletree Hotel in New Orleans, for five days of continuous events. The noteworthy part was the daily assistance from four corporate employees, who used their wireless computers to assist brokers and their staff in becoming experts in our proprietary software for the Trade Exchange Account Management system (TEAM). Trade directors were thus able to get one-on-one assistance and support on any phase of the system. At the end of the event, the laptop computers were given to the newest members of the President�s Club as their award. The Broker of the Year was Graham Norris, former CEO of ITEX and owner of the Salt Lake City office. Even the weather cooperated with the timing of our event; it was mild and pleasant 90% of the time...the several short rain showers, however, kept the temperatures down. CEO Steven White presented an 80-minute review of the past three years, and revealed some insight as to what plans were in the future. Our stated goal is to increase 15% in size by next year�s convention, which will be held in Las Vegas. International Monetary Systems reported substantial increases in revenue, trade volume, and client enrollments for April 2007. � Trade volume for the month totaled more than $9 million (for one side of the transactions), an increase of 97% over last year�s $4,570.000. � Gross revenue billed was nearly $1.1 million, an increase of 93% compared to $570,000 the prior year. � New member enrollment totaled 259, a 228% increase compared to 79 last year. Open Letter: Give Us Liberty And Give Us Gold! My personal conclusion is that the current system will get far worse before it bursts like a pent-up dam (read bubble), and prior to which gold-based public and private currencies and banks will play an increasing role in bridging the chasm of destruction that lies ahead. It is for this reason that I cannot advocate that citizens and small businesses simply ignore gold until (and IF) the redesigned money system(s) of Tom Greco and Bernard Lietaer come to pass. As a part time investigative journalist, I have written about a global gold price conspiracy at the highest levels of central banking and monetary control that is now being undermined by the legal actions of the Gold Anti-Trust Action Committee-GATA (See: Where's The Gold? Part 2 & Part 3). GATA's aggressive actions now threaten to expose the entire house of cards upon which the current global fiat system rests, and push gold prices even higher as the current system disintegrates further into meltdown. To paraphrase GATA's founder, Bill Murphy, a return to a gold standard system is now more feasible than ever, but is nonetheless politically incorrect. The existing political structure can be expected to resist any shift to a gold-based financial system because it will make the welfare state impossible to maintain. The welfare state depends upon the government's ability to defraud people by printing money or, worse, gunning the economy through a reckless credit expansion. The Federal Reserve has opted for the latter course since 1982, and it will soon lead to a devastating crash and depression. How can the Establishment �ensure public confidence� in inherently unstable �financial systems� once they slip into crisis? By imposing a...financial lock-down that prevents �the masses� from using any other systems, of course. If �the masses� lack any other choice, they will be forced by circumstances to have �confidence� in what the Establishment allows them. Besides, any lack of �confidence� �the masses� manifest by attempting to operate outside �[the] financial systems� will be punished. And as long as �the masses� are fully confident of that, their economic participation in �[the nation's] financial systems� will continue, notwithstanding any emotional alienation from them. But politics be damned, I propose that gold-based banks and currencies can be a reliable vehicle for safe liquidity as the current system unravels�e-Gold and GoldMoney.com being prime examples of next-generation gold standard digital banking. In recent times I have seen certain private gold-based currencies indicted on trumped-up charges�e-Gold and Liberty Dollars come to mind�and I am reminded of a quote from my old friend and former Washington lobbyist-colleague, Adrian Cronauer (Good Morning Vietnam! ): "If you are catching flack, my dear, you must be on target!" In the case of the Liberty Dollars, the barter industry had best be on alert�the government is attempting to set a very dangerous precedent around a very simple BARTER concept. I do hope and pray that the future-of-money visionaries can someday usher in a new world of credit banking that works for us, the people, instead of the �banksters,� but in the meantime the company that I manage has its trade credits, its stored bullion, its Liberty Dollars, its e-Gold, and its GoldMoney. The role of a university is to grow intellectual property that must be used for public benefit, according to Dr. Raymond Dwek the director of Oxford�s Glycobiology Institute and co-holder of more than 70 patents. Research universities are essential to nurturing the talent that could devise cures, but the academic world has been hesitant to forge ties with industry, he admits. In the U.S., the Association of University Technology Managers was formed in the 1970s in response to concerns that inventions funded by the government were not being commercialized effectively. The association, which facilitates collaboration between industry and universities, represents more than 350 universities and research institutions to help in licensing innovations.